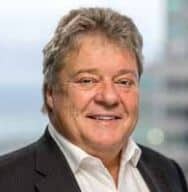 LEAMINGTON, ON, Sept. 28, 2018 /CNW/ – Aphria Inc. (“Aphria” or the “Company”) (TSX: APH and US OTC: APHQF) today unveiled its comprehensive portfolio of adult-use brands that will be available for sale in the adult-use market. Backed by more than a year and a half of extensive qualitative and quantitative research, including focus groups and influencer consultations, the Company has developed a portfolio of brands designed to meet the needs of specific consumer segments. The brands feature a range of price points and offer a variety of product formats and consumption options tailored to consumer preferences. RIFF is a community and cannabis brand that is co-created by the Co.LAB, a collective of creators and artists who love a good joint effort. The brand will have high potency offerings available for experienced users. Good Supply is a value-priced brand without the frills, designed for the everyday cannabis user. Goodfields is for current and new cannabis users interested in quality cannabis from a trusted source, cultivated with care. Complementing Aphria’s in-house brands, the Company’s subsidiary Broken Coast Cannabis Ltd. (“Broken Coast”) is a multi-award-winning craft grower that delivers a premium product and provides consumers with an opportunity to access a brand synonymous with the legacy of B.C.-bud. Broken Coast’s craft cannabis is grown on the shores of the Salish Sea in small batches by choice, using single-strain growing rooms. All flower is hand-trimmed and slow-cured ensuring the optimal cannabis experience. I’m incredibly proud of our product development, manufacturing and marketing teams for their passion, hard work and dedication to developing brands that we are confident will resonate with consumers across a broad range of distinct segments. We’re entering a new chapter of this rapidly evolving industry, and we look forward to extending our leadership through continued brand and product innovation in the years to come. Solei and RIFF will be available through online and retail stores in all ten provinces and the Yukon Territory starting on October 17, 2018. Broken Coast will also be available from online and retail stores across most markets on October 17, 2018. Good Supply and Goodfields will be available in select markets shortly following legalization.